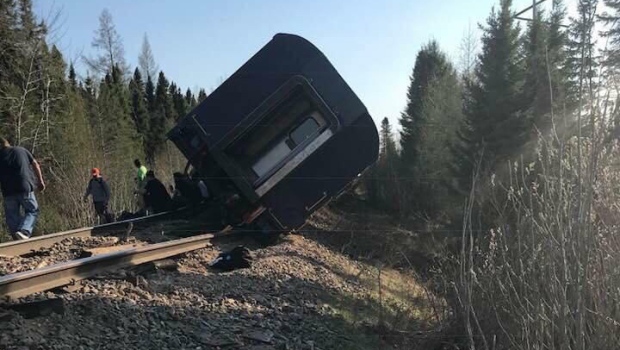 A train with passengers and crew on board has derailed in a remote area of northern Ontario. Ontario Northland confirmed the derailment Wednesday evening about 38 kilometres south of Moosonee, a community near the southern tip of James Bay. CTV Northern Ontario reports that some minors injuries have been reported. Transportation officials say an emergency response plan has been initiated. Seven crew members and 73 passengers were on board the train at the time. Anyone looking to contact a family member about the train is asked to call 1-800-265-2356.